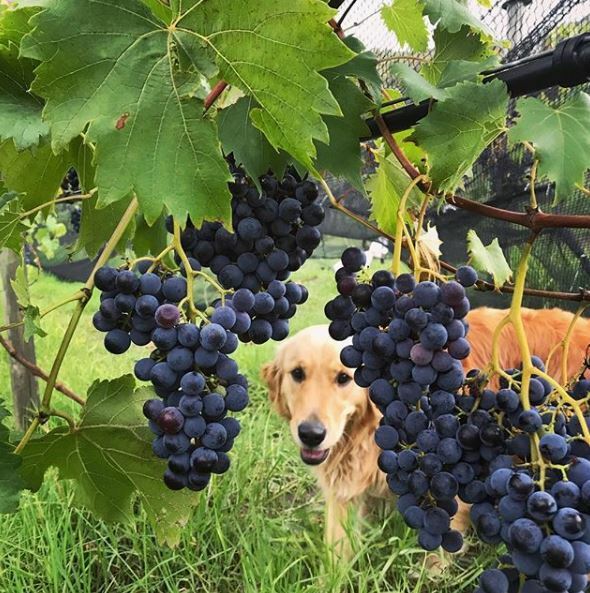 Rosie has grown up and has been a great help during harvest week at the vineyard. Actually she did very little except catch grasshoppers and sit on the nets! The harvest this year was excellent. The grapes enjoyed the hot dry summer with very few problems with either disease or pests. Of course our biggest challenge will always be the birds. Each year Greg comes up with a new way to keep the birds off. 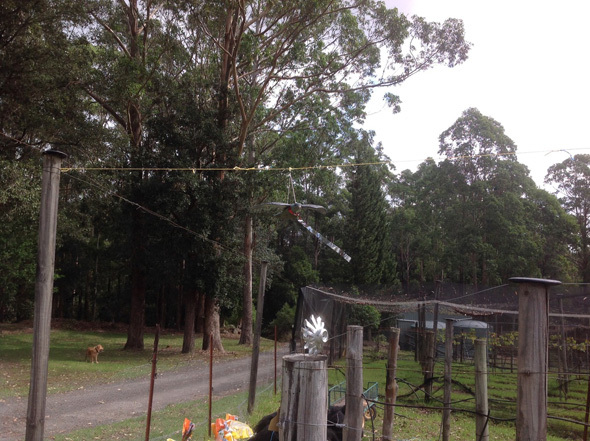 This year’s effort was a combination of nets, tented and secured with sand bags made from recycled feed bags, flying falcons, twirling reflectors and my added noise deterrent – 2 metal dog bowls banged together at annoyingly regular intervals morning and evening. Needless to say, February is not my favourite month. The wine is now in our new tanks and with the help of Michelle Crockett, winemaker and recent local resident to the area, we look forward to a decent vintage. In other news, we are updating our accommodation this year and hope to have this completed by September or October. 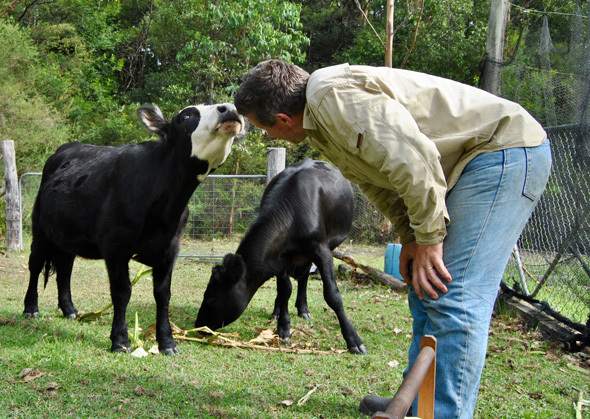 We also had to say goodbye to Sausage and Hamburger, our cows. Don’t worry, they have gone to better pastures and hopefully will have the opportunity to have lovely babies and a long life. 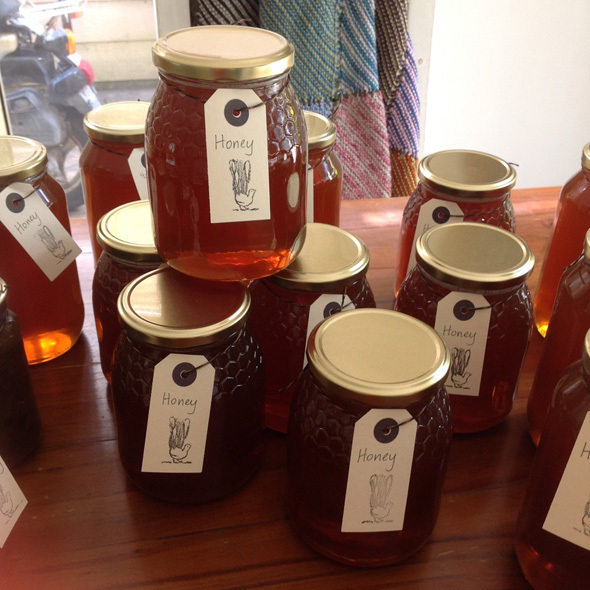 We now have 3 beehives and our son has been busy harvesting honey last week. This is the 4th extraction of honey and each batch produces unique flavour. The predominate flowers this time, Woollybutt and Blackwood. The honey is cold extracted the old fashioned way with a centrifugal force tank and then strained to remove any wax particles. We bottle into 1kg jars because anything smaller is just not enough! We plan to slowly build up the number of hives and hope to make Mead in the future. With more time to experiment with produce and materials on the property I have been able to add some homemade products for sale at the cellar door. 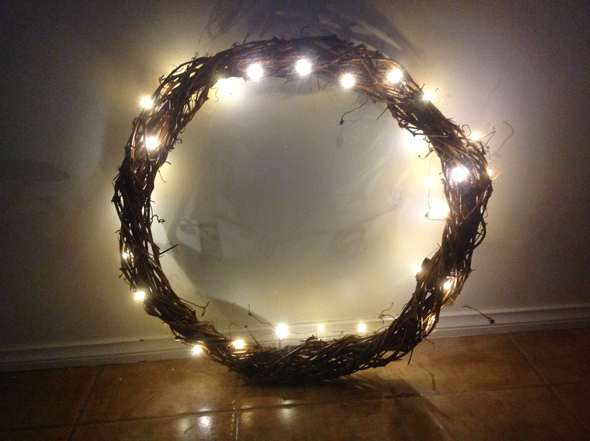 Pruning time in the vines has just become a bit more enjoyable finding vines to weave into wreaths. Add some twinkly lights and all that hard work actually produces something quite pretty. Thanks for catching up with our news and I look forward to adding more news throughout the coming year.